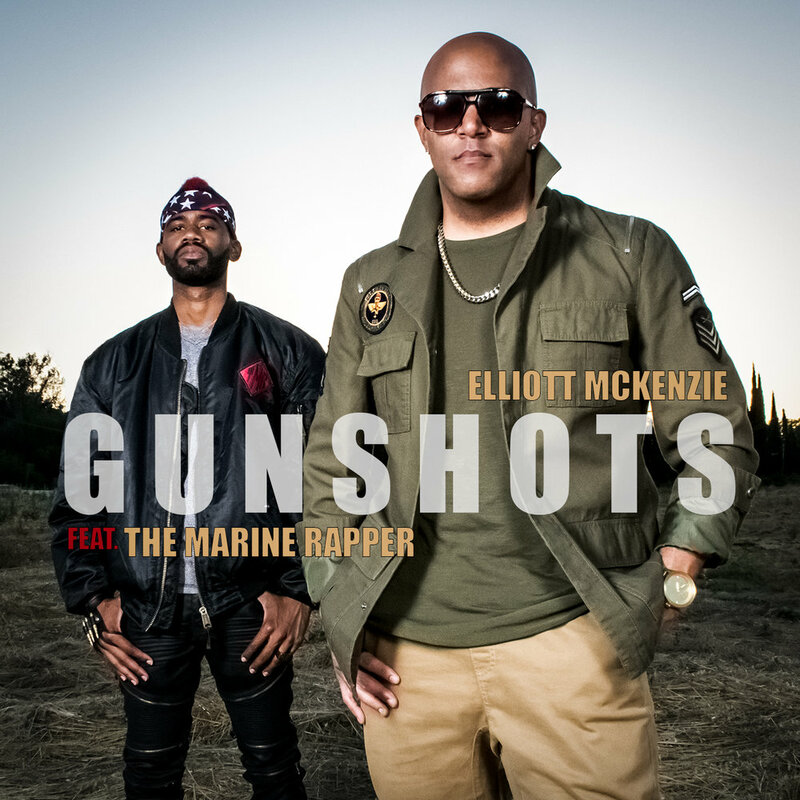 Elliott McKenzie is a Marine Corps and Army Reserves veteran. He joined the Marine Corps in 2003 only five days after graduating high school. While in the Marines, Elliott served in security forces as a Fleet Anti-Terrorism Marine and also as a Presidential Support Duty Marine. After his time in security forces, he served as an infantry rifleman with 1st Battalion, 5th Marines at Camp Pendleton, CA. While with 1st Battalion, 5th Marines, Elliott was deployed to Ramadi, Iraq in 2005. While in Ramadi, he saw a lot of direct fire combat including firefights, roadside bombs (IEDs), and car bombs (VBIEDs). He returned from Iraq in late 2005 and was then stationed at the White House at Camp Pendleton, working under the Commanding General. In 2007 Elliott decided to leave the Marines and pursue his dreams in the music industry while simultaneously joining the Army Reserves. Serving as a Civil Affairs Specialist in the Army Reserves, Elliott spent a number of years chasing his dreams of becoming a recording artist. While all this was occurring beginning in 2008, music had remained a strongpoint in Elliott’s life. He was writing songs, performing, and recording songs when he wasn’t occupied with schoolwork. After dropping out in 2013 Elliott began seeing a therapist through the VA. This therapist suggested that Elliott use his long time talents and passions within music as a form of therapy. She told him that both songwriting and live performance offer great sources of adrenaline release and therapy. So….Elliott focused more on music as a form of therapy and expression while in school.